A review by the Government of the housing health and safety rating system (HHSRS) is happening at a very pertinent time for the lettings industry, PayProp believes. Over the last decade, the private rented sector (PRS) has grown rapidly. The UK is in desperate need of housing, but there is still the major issue of sub-standard property. The automated rental payment provider has pointed out that the review has, therefore, made it crucial for the sector to get its house in order now. Brought about in 2006, the HHSRS was introduced under the Housing Act 2004. Local authorities have been provided with the means to check health and safety in residential properties. The HHSRS can be used by councils to recover any costs from landlords for repair works or order them to carry out necessary improvements. Certain hazards can be flagged for attention by an HHSRS assessment. This includes damp, overcrowding and fire risks. These issues are ranked in categories, with a ‘category 1’ hazard representing the most dangerous. 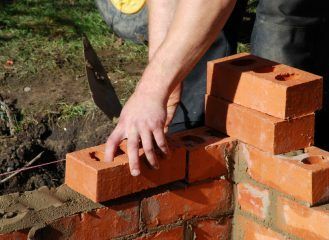 It was in October that the Ministry of Housing, Communities and Local Government (MHCLG) announced its on-going HHSRS review. Another factor that is under consideration is the possible need for an updated system. This HHSRS review will determine whether or not to introduce minimum standards for common health and safety problems in rental accommodation. In January, the most recent English Housing Survey (EHS) was published. It shows that the PRS has accounted for the highest proportion of non-decent homes, which sits at 25%. The HHSRS deems a home to be ‘decent’ as long as it conforms to certain criteria, which includes meeting its minimum standard and containing no category 1 hazards. In 2017, the EHS revealed that 14% of PRS homes had a category 1 hazard. This is down from 31% in 2008. Neil Cobbold, chief operating officer of PayProp UK, has commented: “With the PRS accounting for the highest proportion of non-decent homes, the review of the HHSRS will be important in determining if criteria need to be tightened in order to reduce the number of sub-standard rental homes. “It’s pleasing to see that the number of rental homes with serious hazards is declining, but that is another reason why the HHSRS needs updating. PayProp believes that the HHSRS needs to be updated. It is essential for the PRS, due to the significant change that the market has undergone, since the system was originally introduced. The EHS shows that, in the last decade, the total of PRS households with dependent children has increased by 795,000. Meanwhile, during the same period, the number of private renters aged 35-44 has more than doubled, increasing from 13% to 28%. Cobbold went on to say: “As well as changing demographics, which have an impact on property standards, the sector has become much larger since 2006, now accounting for around a fifth of all households. “This means more tenants need protection from rogue landlords with increased opportunities to let sub-standard homes. 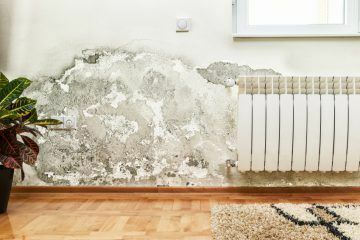 “Moreover, the introduction this year of the Homes (Fitness for Human Habitation) Act 2018 – which will give tenants the opportunity to take legal action against landlords letting hazardous homes – means that a HHSRS which reflects the current market is vital.